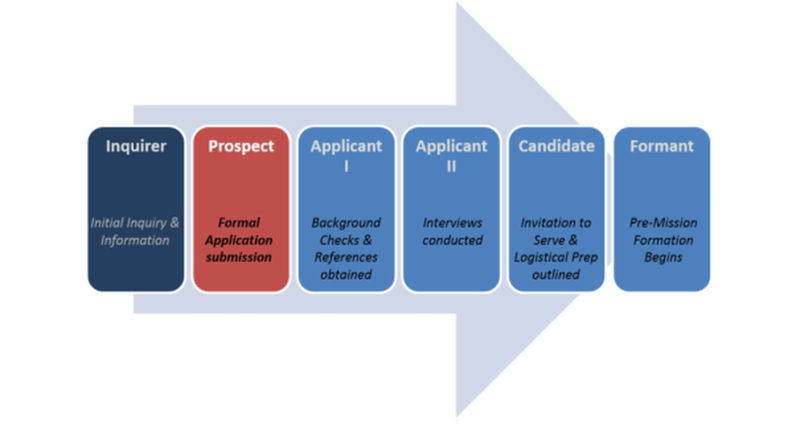 The next step in the discernment/application process is the background checks and references. Hopefully, the forms and documents are pretty self-explanatory, but please do not hesitate to contact us if there are any questions regarding them. Send all forms back to us, and we forward them on to the appropriate agencies and cover the fee. Please pay close attention to the CPS form. Both pages need to be printed on 1 sheet of paper (front and back) otherwise they will return it. We realize all of this paperwork (and there is more, unfortunately) can seem like a lot of hoops to jump through, but we truly believe that by being prudent and diligent in how we go about this process, it will better help us to prepare and match those who are called to this particular apostolate at this particular time in their lives. We pray it does not come across as a burden, but our goal is to make sure that we discover and prepare those God has called to serve with us in this ministry. We look forward to hearing from you again as we move forward with this process. At this juncture, we also like to have a phone call to make the connection a bit more personal, and to also address any questions or concerns you have at this point. Can you let Tom know some times that would work for you in the next few weeks? Please feel free to contact us by email if you have any additional questions.